At long last, Shuri faces her destiny. With her brother gone and Wakanda in peril, the Black Panther is needed. But the Princess of Wakanda is more than any mask – and she’s about to face a threat unlike any Wakanda has seen before. 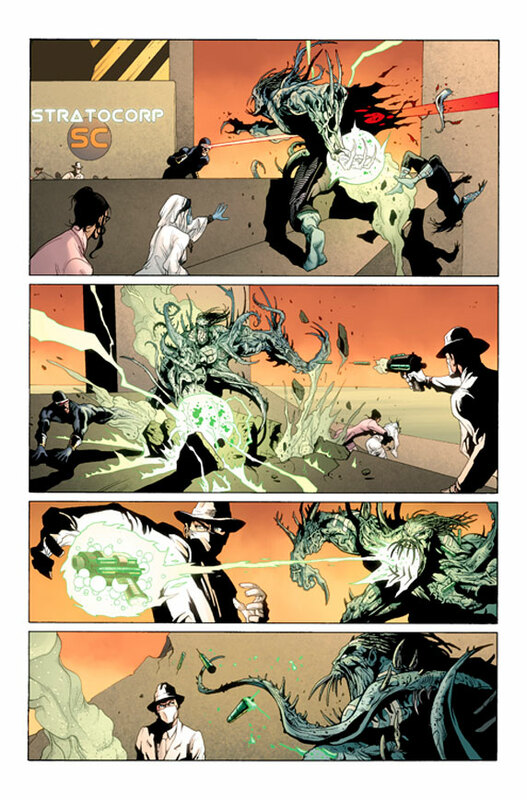 The start of a two-part story by guest creative team Vita Ayala & Paul Davidson! • At the end of his rope, Marc takes a much-needed excursion…with his oldest enemy! • Brooklyn is awful nice this time of year. The nightmare-scape of Ra’s domain…not so much. It’s Tuesday which means it’s new comic book day at book stores! This week we’ve got the New Mutants! New Mutants by Zeb Wells the Complete Collection features #1-11, #15-21, Marvel Spotlight: New Mutants, and material from X-Necrosha #1 by Zeb Wells, Kieron Gillen, Dio Neves, Cam Smith, Ed Tadeo, Norman Lee, Craig Yeung, Ibraim Roberson, Paul Davidson, Chris Sotomayor, Niko Henrichon, Zachary Baldus, Jim Campbell, Kevin Sharpe, Jay Leisten, David Lopez, Alvaro Lopez, Paul Davidson, Sotocolor, Leonard Kirk, Andrew Currie, Guru-eFX, VC’s Joe Caramagna, Chris Eliopoulos, Cory Petit, Daniel Ketchum, Jake Thomas, Jody Leheup, Nick Lowe, and Jeanine Schaefer. Get your copy. 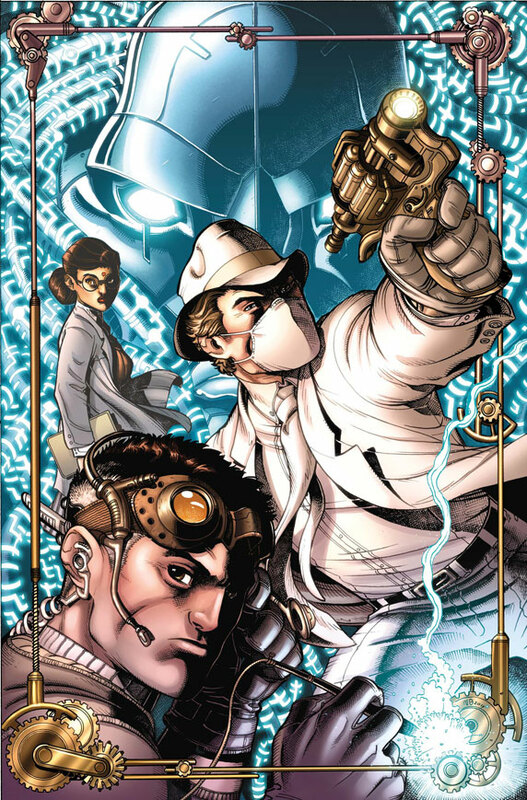 To find a comic shop near you, visit www.comicshoplocator.com or call 1-888-comicbook or digitally and online with the links below. • When you’re a mutant telepath, you get used to hearing voices in your head. • But what happens when one voice keeps you up at night and refuses to leave? • Only under these circumstances, the only qualified clinician is the Master of Mystic Arts himself, DOCTOR STRANGE! Then it’s time to give thanks for…THE PUNISHER?! When an op goes south, Frank Castle finds himself in a subterranean game of cat and mouse! It’s a life or death tale that’ll satisfy more than any turkey dinner! Protect the Future or Change The Future? Your First Look at Civil War II: Choosing Sides #1! If you knew something bad was about to happen, would you stop it? How far would you go to prevent an uncertain future? The line in the sand has been drawn, and you must decide­­—do you stand with Captain Marvel, or with Iron Man? That question will be answered this June as heroes and villains across the Marvel Universe make their decisions in Civil War II: Choosing Sides #1! Featuring fan-favorite characters and top-tier creators, each issue of Civil War II: Choosing Sides contains three all-new stories detailing the conflict across the Marvel Universe. First, comic superstar Declan Shalvey pulls double duty as he writes and illustrates a Nick Fury story running through all six issues. Which side of the issue will Marvel’s premier super-spy fall on? Then Brandon Easton and Paul Davidson bring you a tale of the Night Thrasher and Chad Bowers, Chris Sims and Leonardo Romero present the return of Damage Control! And that’s just the first issue! Don’t miss future issues featuring Jessica Jones, War Machine, Power Pack, the Punisher and more! Will they fight to protect the future? Or battle to change it? Find out as the Marvel Universe picks a side this June! Two worlds are coming to an end. 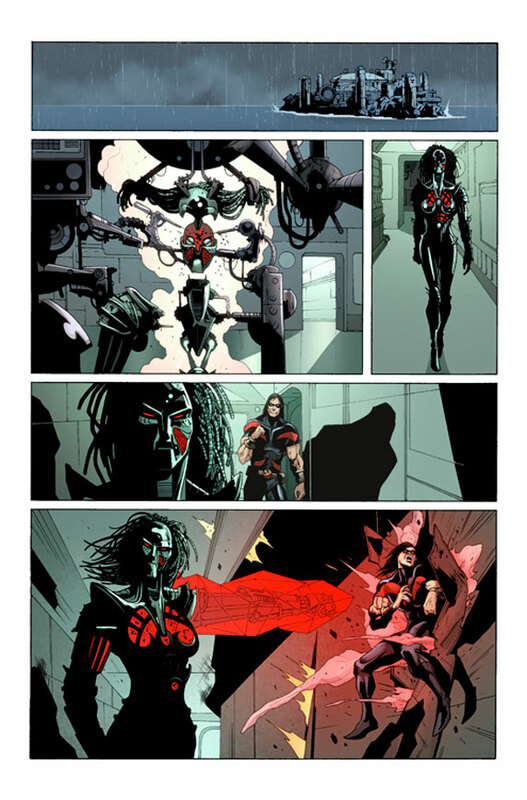 The final Incursion has started, and fighting on the front lines to try and save his planet is…Magneto? We open Magneto #19 to New Yorkers looking skyward, watching as the energies of 2 planets inching closer to impact cascade and send chaos through the streets. 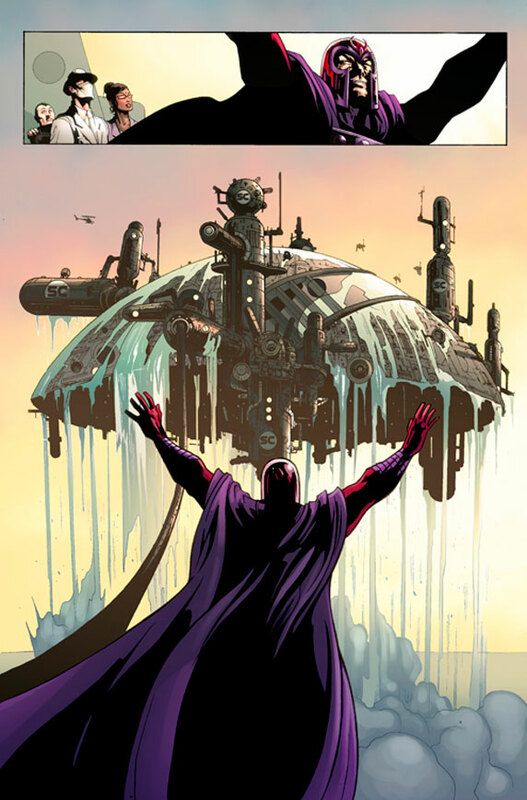 Flying high above them, Magneto (aided by his daughter, Polaris) are taking the fight to this ‘other’ Earth, battling the parallel Sentinels sent after them. Polaris is shocked to see the energy levels her father is exhibiting, all the while trying to protect the people caught in the crossfire of Magneto and the Sentinels. Magneto clearly has one goal in mind, clearly shown as he rips a building to pieces to use against the killer robots; Polaris chides him for so reckless an action, as people in the building fall to the ground below…and his advice to her…”then catch them”. For his attitude, this is the Magneto all of us know; not caring much for the collateral damage, or the human lives at risk, but rather making sure that he and his fellow mutants are protected and safe. But the level of power he is exhibiting is something fans of this book have not seen in Magneto for some time. 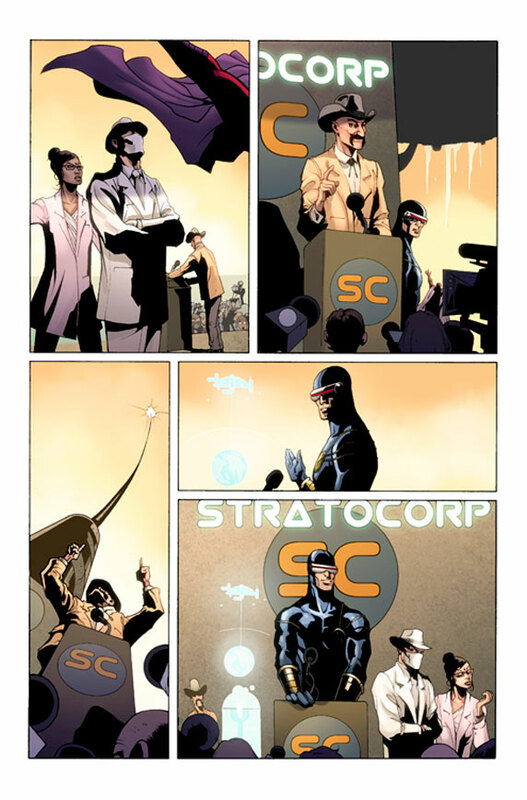 To answer this, we get a flash back of Magneto and his current right hand, Briar, working with a chemist under Magnetos employ to pump him up with a new cocktail of various drugs to amp up his powers (MGH, Kick, etc..). But to face this Incursion, Magneto needs further assistance, and seeks out a geneticist who can do the kind of work he needs…and he finds Sugar Man (a cast away from the Age of Apocalypse I didn’t know was still around). From him, Magneto acquires the means to initiate his plan, and thanks him in true Magneto style. We move back to present time and see this plan working, Magneto using the very magnetic forces of the planet to aid him, but very quickly taking a deadly toll. I have enjoyed this book from the start, showing Magneto going back to his roots and doing what he always strived to do; protect his fellow mutants. Away from the X-Men, Magneto has gone back to doing whatever necessary, even spilling blood, to see his goals attained, and this is the Magneto I have always liked reading. I have not been a big fan of Briar, at his side serving as guide and counsel, but in this issue it is revealed Magneto as his doubts about her as well. Cullen Bunn has given a great voice to Magneto and getting the reader into the story; and Paul Davdison‘s art really made me feel the action, but also the darkness and mood of the flashbacks. The end is coming with the Incursion, and I am looking forward to see how Magento will face it. Your First Look At X-Club #1! This December, fight fire with physics as Marvel is pleased to present your first look at X-Club #1 from writer Simon Spurrier and artist Paul Davidson! The X-Men’s team of supreme scientists have finally created the world’s first elevator….TO SPACE! But just as they’re about to launch this majestic innovation, chaos erupts and the X-Men are to blame. It’s up to Dr. Nemesis, Madison Jeffries, Dr. Kavita Rao and Danger to clear their name before the experiment backfires. No fan of the X-Men can miss X-Club #1! Want to find out more about the X-Club? Head on over to Marvel.com and see what Spurrier had to say! Marvel is pleased to present your first look at Age of X: Universe #1 (of 2), from fan favorite writer Simon Spurrier and superstar artist Khoi Pham! Discover the shocking foundations of the critically acclaimed and sold out Age Of X event! How did the last remnants of mutantkind manage to escape the clutches of the dreaded extermination unit known as…The Avengers? Behold, the merciless purge of the Children of the Atom and the rise of Fortress X’s rebel underground in the world that almost was in Age Of X: Universe #1 (of 2), on sale this March!